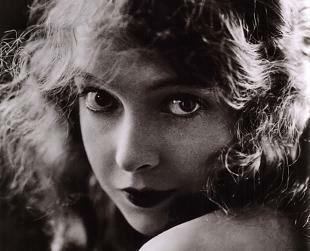 Born the same year the movie camera was invented, Lillian Gish was one of the most infiuential pioneers of the film industry. She was born in Springfield, Ohio, on October 14, 1893 (although, to make her seem younger, her birth year was later given as 1896). The Gishes soon moved to New York City, where her father abandoned the family. Left to care for Lillian and her little sister, Dorothy, on her own, Gish’s mother, Mary, managed a boardinghouse for performers. There, all three were drawn into the world of the theater. “Baby Lillian,” as she was billed, made her stage debut in In Convict Stripes in 1902. For the rest of her youth, she spent most of her time appearing in touring companies, often traveling alone from show to show. In New York, the Gish sisters became friends with another young actress, Gladys Smith, who would soon find superstardom as MARY PICKFORD. Then working for the Biograph film studio, Smith introduced them to director D. W. Griffith, who was immediately struck by their delicate beauty. Legend has it that, without warning, he shot a prop gun over their heads. The Gish girls’ horrified shrieks convinced him that they could emote onscreen. Griffith promptly hired them to work in his next film An Unseen Enemy (1912). They soon followed Griffith to the Mutual Film Corporation, where he and Lillian collaborated on several of the greatest films of the silent era. 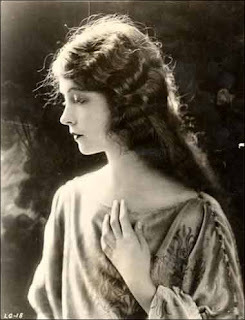 Griffith always encouraged ideas and suggestions from his players, a practice that was particularly fruitful in his relationship with Lillian Gish. They both shared a commitment to film, which they viewed as legitimate art form at a time when few considered it more than a curiosity. On Griffith’s advice, Gish researched her roles thoroughly, reading voraciously to prepare herself for every part, even though she had had nearly no formal education. She also took lessons in voice and dance, eventually becoming a skilled athlete able and willing to do dangerous stunt work. Her devotion to her work is clear from an anecdote recounted by an eyewitness who watched Griffith film Gish outside during a snowstorm: “D. W. would ask her if she could stand it, and she would nod. The icicles hung from her lashes, and her face was blue. When the last shot was made they had to carry her to the studio.”With Griffith’s encouragement, Gish developed a particularly effective acting style that almost immediately distinguished her from her peers. Most theater actors were trained to use broad gestures that looked too mannered and stiff on the screen. Gish sensed that film required much more subtle gestures and more subdued demonstrations of feeling. Especially in close-ups, she was able to use small changes in her facial expressions to communicate deep, often even contradictory emotions. Ever since, film acting has been based on these early innovations of Gish. In Gish’s first films, she often played a young woman in danger, who is dramatically saved at the last minute. Lovely, yet frail-looking, she, under Griffith’s infiuence, became the embodiment of innocent, female virtue. Gish’s own forcefulness, however, lent an underlying strength to her idealized screen persona. Gish emerged as a bona fide film star with the release of The Birth of a Nation (1915), which became the most successful silent film ever made. Controversial for its racist presentation of African Americans, Nation was the first narrative film epic and introduced many of the shots and techniques that now serve as the basic syntax of moviemaking. In it, Gish starred as Elsie Stoneman, a young woman suffering various travails during the chaos of the Civil War and Reconstruction. Gish also appeared in Griffith’s masterpiece Intolerance (1916), the director’s response to efforts to ban his earlier film. Its four sections, set in different time periods, were linked by the repeated image of Gish rocking a cradle. Gish delivered perhaps her most powerful performance in Broken Blossoms (1919), although she begged Griffith to cast someone else in the lead. Then in her late 20s, she felt far too old to be convincing as a young girl terrorized by her violent father. Despite her hesitance, she proved convincing, especially in her climactic death scene. The intensity of her fear as her father beats her to death left audiences in a stunned silence at the picture’s end. Gish also won great acclaim for Griffith’s Way Down East (1920) and Orphans of the Storm (1922), the latter of which also starred her sister, Dorothy. Gish’s tenure as Griffith’s muse came to end when he realized her name could sell more tickets than his. Calling her into his office, he told her he could no longer pay her what she was worth, insisting that for her own interest she needed to work elsewhere to fully capitalize on her success. Gish hesitantly went off on her own. She invested money in Inspiration Films, where she made The White Sister (1923) and Romola (1924). Gish then signed a lucrative five-movie deal with MetroGoldwyn-Mayer (MGM) that gave her control over the stories and directors chosen for her. Her MGM films included La Boheme (1926), TheScarlet Letter (1926), and The Wind (1928). In the 1930s, Gish made the transition into talking pictures with One Romantic Night (1930) and His Double Life (1933). Yet she found her popularity fading due to changes in public tastes. Audiences now wanted to see fiappers like CLARA BOW and exotic beauties like GRETA GARBO—not the Victorian angels with whom Gish had become so closely associated. Gish responded by returning to the stage, where she quickly revived her career. She was well-received in a number of classic dramas, including Uncle Vanya and Hamlet, in which she played Ophelia opposite John Gielgud. She also became a fixture in New York intellectual circles owing to her friendship with critic George Jean Nathan, who repeatedly proposed marriage to her. She always refused, later explaining, “What kind of marriage would it have been to a wife who worked twelve hours a day, seven days a week.”By the mid-1940s, Gish was also working periodically in films, often in supporting roles. As a supporting actress, she was nominated for an Academy Award for her work in Duel in the Sun (1947). Soon she was appearing regularly on television as well, in made-for-television movies and as a guest star on series. An advocate for film preservation, Gish wrote two books about her life in movies—The Movies, Mr. Griffith, and Me (1969) and Dorothy and Lillian Gish (1973). 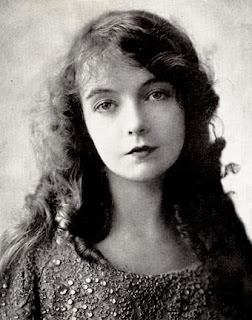 In 1969, she began discussing her career in a lecture series, Lillian Gish and the Movies, which eventually toured the United States, Canada, western Europe, and Russia. Her work was also celebrated with a special Oscar in 1971, a Kennedy Center Honor in 1982, and an American Film Institute Lifetime Achievement Award in 1984. Gish’s final film was The Whales of August (1987), which paired her with another screen legend, BETTE DAVIS. During the filming, the cast and crew were awed by Gish’s emotive powers in a particular scene. The acerbic Davis, exasperated with the to-do, offered her own more pointed and perhaps more fitting praise for Gish’s performance. “Of course, it’s a great close-up. She invented the goddam shot.”On February 27, 1993, Lillian Gish died in her sleep, just months away from her 100th birthday. In her will, she established the “Dorothy and Lillian Gish Award,” which each year pays the annual proceeds from her multimillion-dollar estate to a person distinguished in the arts. Gish, Lillian, with Ann Pinchot. The Movies, Mr. Griffith, and Me. 1969. Reprint, San Francisco: Mercury House, 1988. The Birth of a Nation (1915). Image Entertainment, DVD, 1998. Broken Blossoms (1919). Image Entertainment, DVD, 1999. Duel in the Sun (1946). Anchor Bay Entertainment, DVD/VHS, 2000/1998.